Alva “Allie” Paine played football, basketball and baseball in high school. He earned a basketball scholarship to Oklahoma University where he played for four seasons: 1941, 1943, 1944 and 1947. His college career was interrupted by two years service in the Army during World War II. Paine guided the Sooners to two Big Six Conference titles in 1944 and 1947. 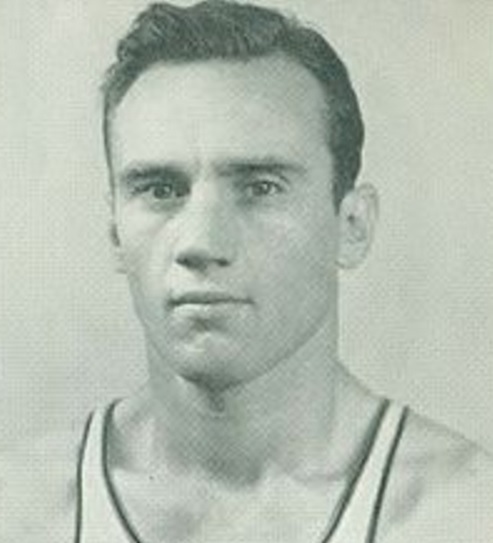 As a junior in 1944, he led the conference in scoring and was named a consensus First Team All-American selection. In his final season, he helped Oklahoma reach the 1947 NCAA championship game where they lost 58-47 to Holy Cross. After graduating from college, Paine played professional basketball with Oklahoma City in the short-lived Professional Basketball League of America. In 1953, Paine became the basketball and baseball coach at Phillips University in Enid Oklahoma. Alva Leon Paine Born: Jul 22, 1919 Died: Mar 22, 2008 Hometown: Oklahoma City, Ok.